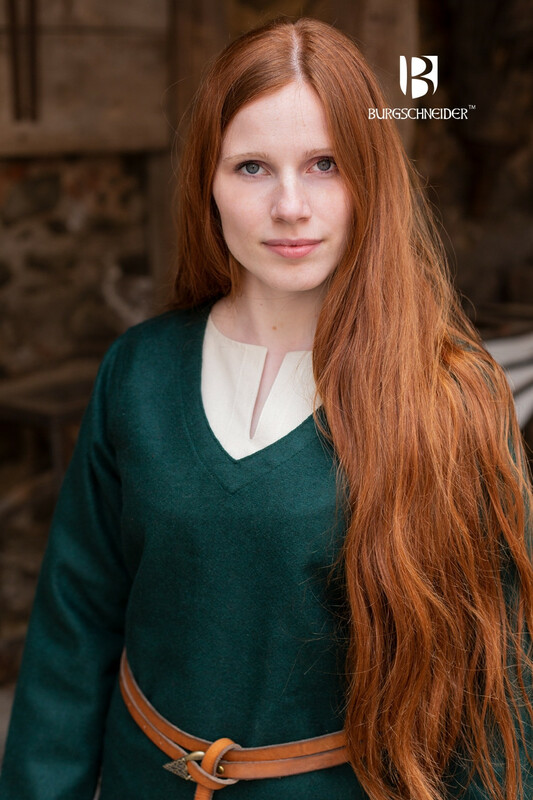 The Hyria is a long sleeve short length tunic common throughout Northern Europe from the Viking Age well into the12th century. 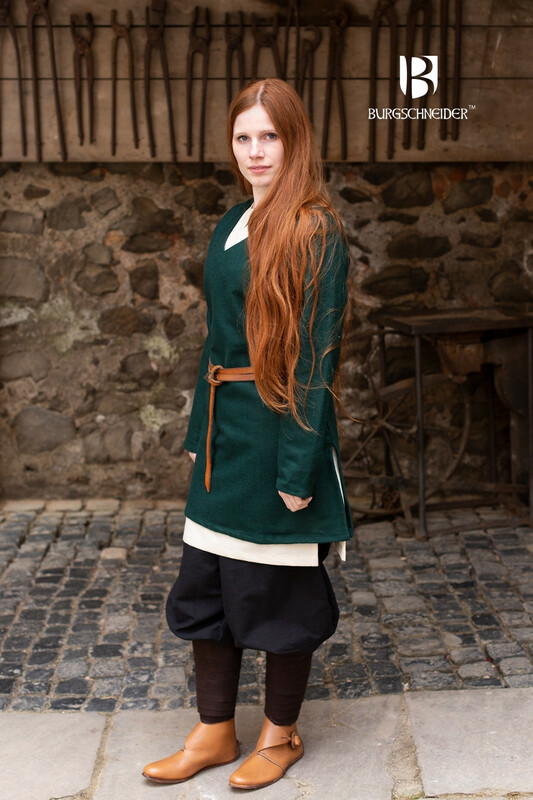 The Wool material used is both durable, yet comfortable. 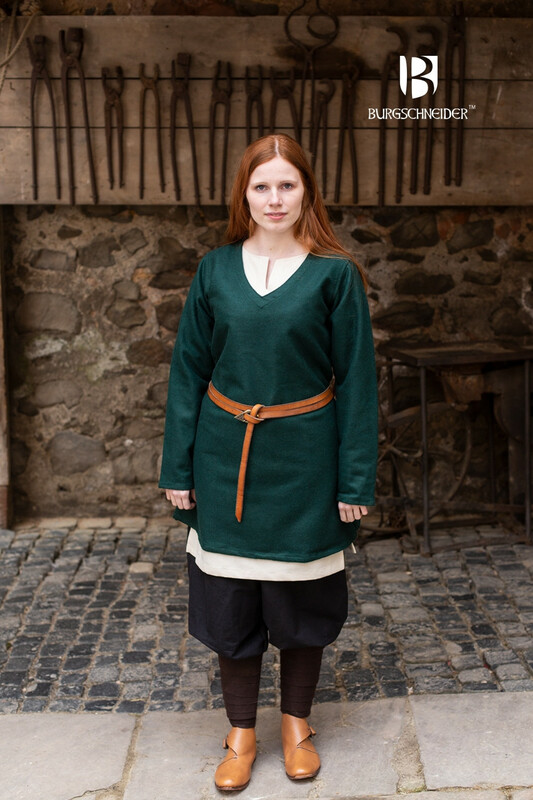 Worn best layered with an under tunic.